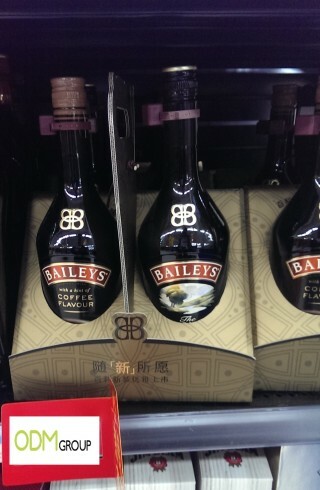 Walmart in China currently have new promotional packages by Baileys on display. For their whole range of products, they’ve designed new and exclusive promotional packages, with some even including a special gift included. 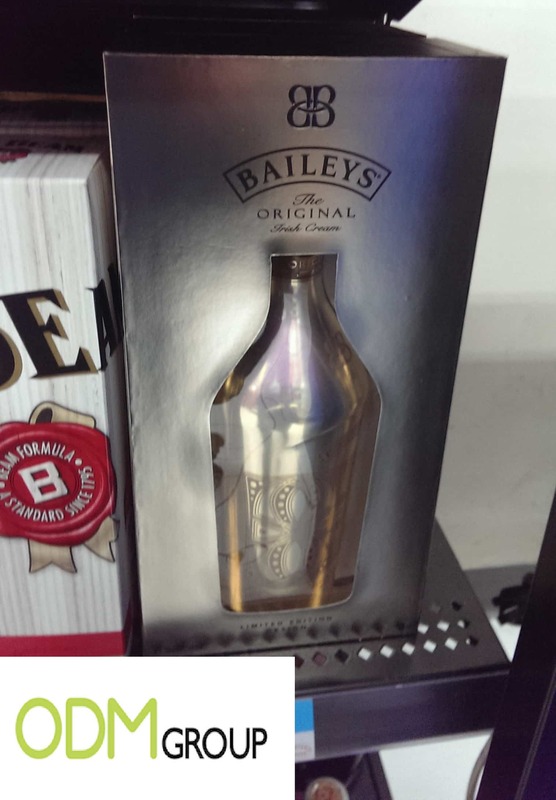 The first promotional package that Baileys is offering is their original flavoured liquor chocolates. Their large package is immediately an eye catcher. The design and colour of the outer package is attractive to the eye and gives a sense premium value. Furthermore, the transparent window gives the customer a good view of the product. 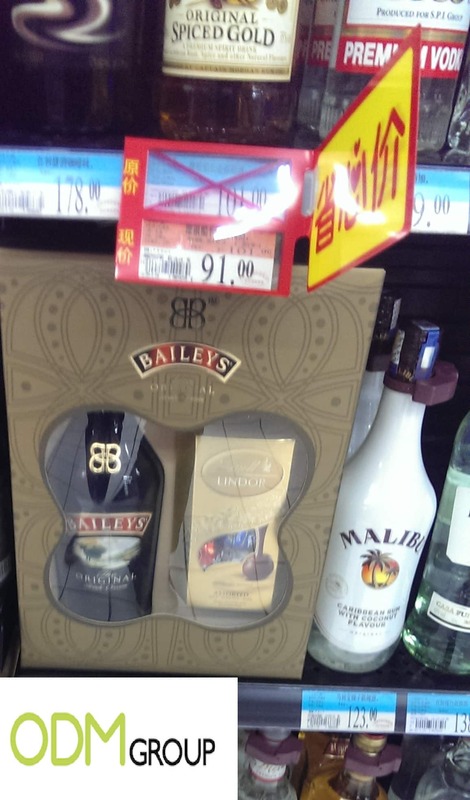 Combining the liquor with the chocolates makes it an ideal package to give as a present. Another Baileys promotional package is a limited edition version of their original Irish cream. The bottle has a luxury silver layer on it, with a specially designed print. Furthermore, the package is made in the same kind of silver colour with a cut out to see the bottle. By placing only the logo and a simple description on the package, they enhance the premium value of this promotional package. Their last promotional package is a combination of both flavours of Baileys namely, the original flavour and the hint of coffee flavour. By combining them into one deal, they want to let their consumers also try their other flavour and in the future boost sales of it. The package is made from solid cardboard with a handle so it is easy to carry and won’t break. The package is eye catching due to the use of colours as well as due to the shape. For companies with a smaller budget who still want to keep their promotional package close to their brand identity, they might consider the picture above this text. 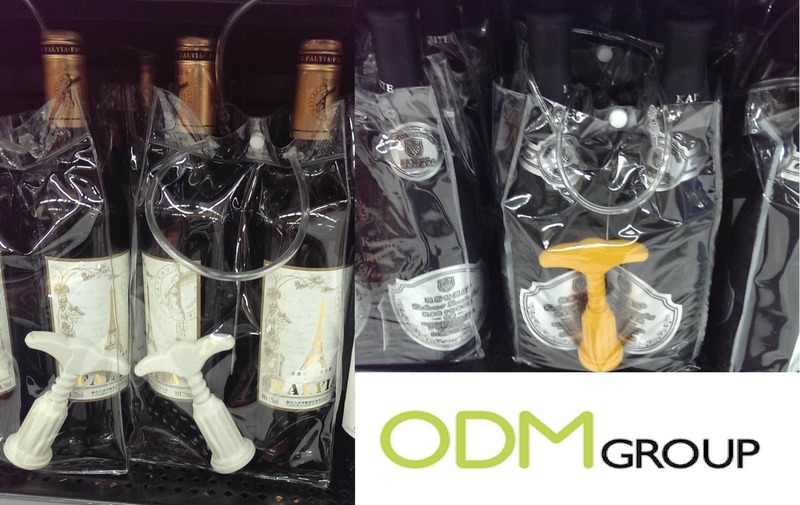 It is a low budget wine and their promotional package includes a corkscrew which makes it ideal to target their consumers with. If you want promotional packaging for your product, please don’t hesitate to contact us or our design team at Mindsparkz.